Buy online our clothing and fashion fabric Cloque’ Lame’ M2-600. 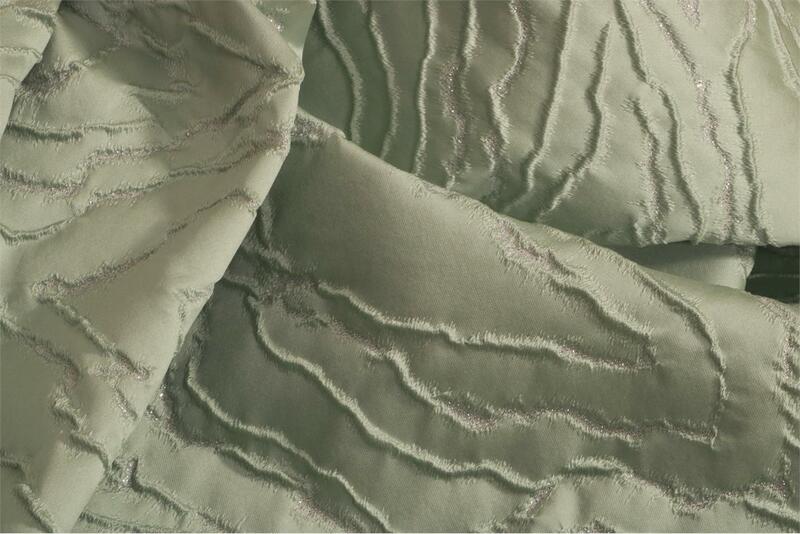 Luxurious sage green lamé jacquard fabric with cloqué grain effect for elegant cocktail or ceremony dresses. Green Mixed Abstract Jacquard fabric for Party dress, Wedding dress.